You agree to treat your dog/s for fleas and ticks prior to your stay at the holiday premises and ensure that your dogâs vaccinations are current. What a great house. Perfect with bedrooms both upstairs and down which was great for our elderly mother. The kitchen is extremely well setup with even the little extras that make being away from home easier. Theatre room was great and you could watch movies or use as loungeroom. Outdoor area was inviting and we spent most of our time out there. Pool was great to cool off in. Byron Real Estate were fantastic and very obliging. We loved our week at Serenity on Sallywattle. 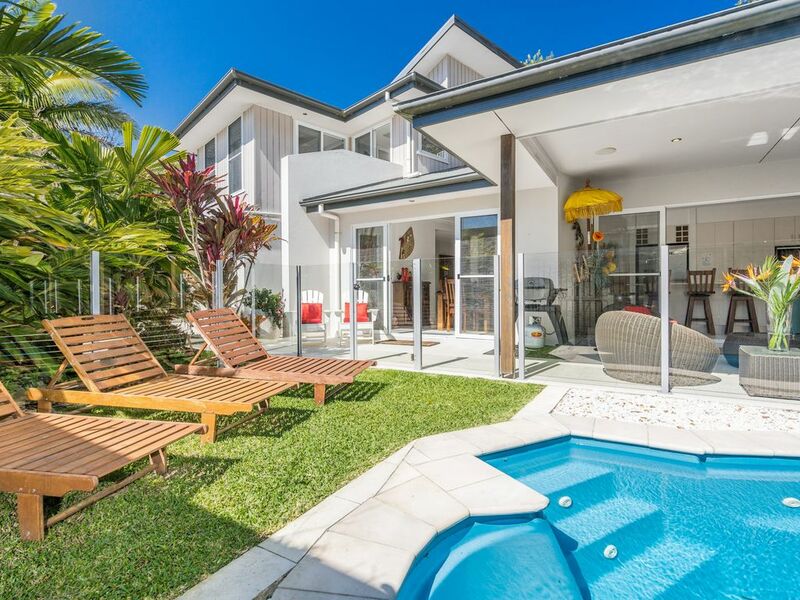 We found Serenity on Sallywattle to be a fabulous property that had everything you could possible need. It is spotlessly clean, very comfortable & the floor plan is fantastic. Perfect for 5 adults, this property offers so much including; Netflix, Wi-Fi, a kitchen full of utensils, lovely clean linen & even beach towels along with so much more. The Suffolk Park shopping strip has great food, definitely try the Indian. So close to Tallows beach too but you will need a car to get into Byron. Really is a perfect getaway for families or singles, highly recommended!